When will be Cimarron Strip next episode air date? Is Cimarron Strip renewed or cancelled? Where to countdown Cimarron Strip air dates? Is Cimarron Strip worth watching? 90 minute Western that was intended as CBS's answer to the popular 90 minute NBC western The Virginian. Cimarron Strip starred Stuart Whitman as Marshal Jim Crown, the only lawman in the bandit and outlaw infested Cimarron strip region of the Oklahoma territory in the late 19th century. Jill Townsend, Percy Herbert, and Randy Boone co-starred. 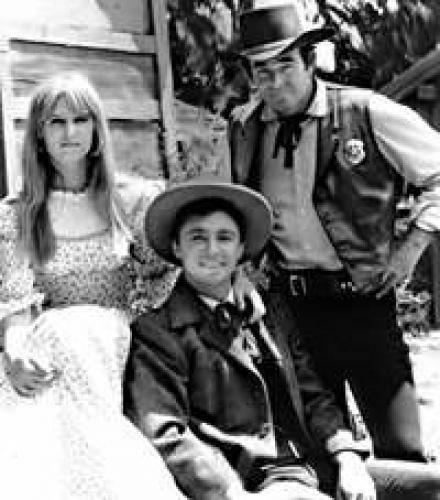 Cimarron Strip was praised by many critics for the high quality of its scripts and occasionally still pops up in syndication but alas, the audience for westerns was drying up, and the show was canceled after only one season on the air. The series is not to be confused with Cimarron City which had the same setting but aired a decade earlier on NBC with George Montgomery in the lead. EpisoDate.com is your TV show guide to Countdown Cimarron Strip Episode Air Dates and to stay in touch with Cimarron Strip next episode Air Date and your others favorite TV Shows. Add the shows you like to a "Watchlist" and let the site take it from there.